What's better than the Audi A3? The Audi S3, for sure. 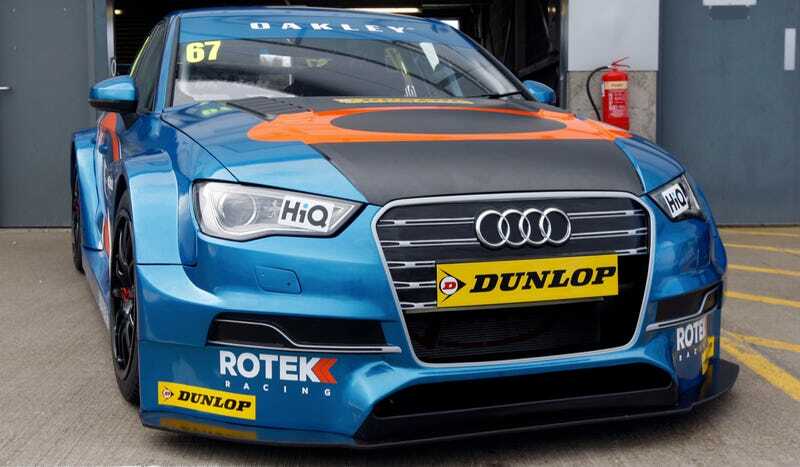 And an Audi S3 dolled up in Oakley Motorsports livery for the British Touring Car Championship to be driven by Robb Holland? That's an attractive car. I think the Audi S3 saloon will be a good fit, as it's the first of the new generation S3s to race anywhere in the world. I'm also really glad to have the support of Oakley Motorsports. The BTCC is the perfect high visibility platform to launch its line of motorsports gear here in the UK and across Europe. The Oakley color scheme was choses by Rotek's Facebook fans, so I assume the majority of them have good taste.